Earlier this month, former foreign secretary Boris Johnson decided to chime in on Denmark’s recent burka ban, by crudely referring to Muslim women who wear the veil as “bank robbers”. As if Johnson’s dehumanising comments weren’t enough, the Uxbridge and South Ruislip MP later added, “I would go further and say that is it absolutely ridiculous that people should choose to go around looking like letter boxes”. Beyond being abhorrently offensive and a cheap divisive tool to perpetuate an anti-Muslim, fear-driven rhetoric, more detrimentally, Johnson’s comments have provided a soapbox to both closet racists and well-wishing neo-liberalists. Now, everybody feels entitled to speak brazenly about what Muslim women should and shouldn’t wear. During a time when the Mayor’s Office for Policing and Crime reports that islamophobic hate crimes have risen by a staggering 40 per cent in the last year alone, Johnson’s sentiments can only aggravate the increasing Islamophobic tensions in the UK. 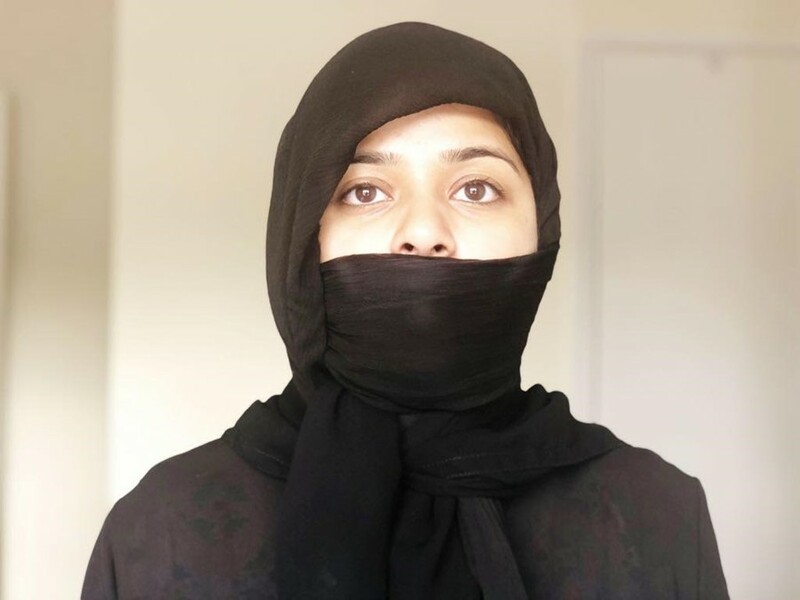 The media narrative surrounding the banning of the veil often centres around the idea that Muslim women have been forced to wear a niqab or burka by men or their families, and that the veil’s very existence is a symbol of terrorism and an archaic form of oppression. But when speaking to women across the country who have chosen to wear a niqab or burka (which equates to a microscopic percentage of the population), the one thing that they all mutually agreed on was that much like women who choose not to cover up, their freedom to choose how much of their body they are comfortable showing in a public space should never be dictated or controlled by anyone. Below, we speak to three women who wear a veil about their personal experiences and beliefs. “My appearance challenges assumptions about Muslim women, and also protects me from the attitude that a woman’s worth is determined by how she looks and how she dresses. I have met a plethora of people, but no one has ever reacted towards my niqab. These politicians and general well-wishers of women, many of whom don’t seem to understand that Muslim women have chosen to cover themselves in whichever way they feel comfortable, because it is an injunction in the Holy Qur’an, their holy scripture. “It is not forced upon them by males, as some media commentators would have everyone believe. Force of any kind in matters of religion goes against the unambiguous verse in the Quran, which states that there is no compulsion in religion. “For me, the niqab is a gateway (to) freedom, and to this day, it has never been any hindrance. Most people have accepted me for who I am by looking beyond the piece of fabric, and have respected me for my belief. However, I have faced comments like, ‘How can you even be permitted to drive as you will be a hazard on the road!’ to ‘You poor girl, you can’t even show your beauty to anyone!’ Most people have allowed me to express how I feel, but some just pass their comments, make their judgments and then disappear. So, now when I am asked this question I feel I have become immune to all the passer-by comments – but I shouldn’t be. “In this free and liberal part of the world, I should not be immune to offensive remarks and bigotry. Why do we have to discuss how any woman dresses? My choice of dress should in no shape or form cause harm to anyone else, yet in the past week I have encountered hatred and offensive comments, with peculiar glances from strangers. This begs the questions as to what happened to the British values of freedom of expression and choice, and to my personal liberty? “I have been fortunate enough that up until July this year, I had never had any negative experiences. If I have discussed it with people, it has always been in a positive light. However, it is with great sadness that recent events have led to me already having negative experiences of name calling and harassment. It seems that with the irresponsible conduct of politicians, it’s emboldened a previously suppressed prejudice in society, with the only victims being Muslim women. “Freedom is talked about in every geopolitical sphere, apart from in application to Muslim women. I am told that others know what’s best for me, that clearly despite being a compos mentis adult I cannot make a decision for myself, without any concern for my opinion in the matter. Above all, it is men that make these statements, apparently, for my liberation! This is incredibly frustrating.